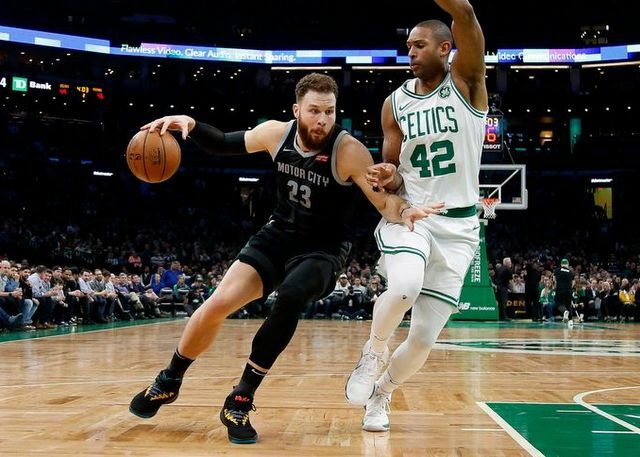 (BOSTON) – The Boston Celtics haven't played as well as they've expected at times this season. They're hoping the games they've put together over the last six weeks are a sign of better things to come after the All-Star break. Jayson Tatum scored 19 points and Gordon Hayward finished with 18 to help the Celtics hold off the Detroit Pistons 118-110 on Wednesday night. Hayward added eight assists and five rebounds in his first start since Dec. 21. Al Horford finished with 17 points, 14 rebounds and eight assists. Jaylen Brown had 17 points and seven rebounds. The Celtics have won seven out of their last nine. The loss ended the Pistons' four-game win streak. After trailing by 11 in the first half, Boston outscored Detroit 34-20 in the third quarter and led by as many as 28 in the fourth. Blake Griffin led Detroit with 32 points and eight rebounds. Andre Drummond added 21 points and 17 rebounds. Despite the loss, Drummond said he is encouraged after the Pistons went 5-2 over their last seven games.